Few fortunes and honors simply fall from the sky, but I can name at least two that have risen up from the Earth. The first one = Trees. I am not going to lie. I first heard of “The Zombies” from a commercial, and it was playing “Time of the Season” one of my now top songs from the 1960s. I just remember my first moments hearing the song, and I wasn’t really able to place a name for the sound. I have found names like “Psychedelic Rock” and “Baroque Pop.” I guess that sort of covers it. The Zombies are a band that cover so many years, and they have such strong quality in their music. They are still creating music presently, and it doesn’t look like the living dead will ever show signs of losing strength. I got to toss around some questions with Rod Argent, who serves as the Master of Keyboards/Organ and is sometimes even called the leader of the pack. NB: Do you seek to create music that is immortal? Rod Argent: Yes - in the sense that we never think "what is fashionable" when we create - we always use the same criteria of trying to follow through an original idea to the best of our ability. We just try to make something work! And if you're not just trying to depend current trends -which we've never done - you stand a chance of making something that will work in the distant future as well as it does in the present. If it can move somebody now, there's no reason why it shouldn't always! NB: How do you create sensuality in your music? Rod Argent: By trying to express yourself as naturally and unselfconsciously as possible. NB: What are the next biggest dreams....not so much plans....but visions on the horizons? Rod Argent: Just the same as they've always been - to continue to try to develop our playing and writing, and continue to have the privilege of the incredibly energising experience of audience reaction of all different ages. NB: What do you think of Miley Cyrus? So on that note, I actually had the chance to turn to Colin Blunstone, the man with the big voice. To my delight I got to continue unfolding with one of my favorite bands. NB: What do you think of Miley Cyrus? Actually, what do you think of artists like Miley Cyrus and Justin Bieber? Colin Blunstone: I think they are amazingly talented and professional performers at the beginning of their careers. I wish them luck and every happiness through the peaks and troughs that will inevitably come with the passing of time. NB: Come on, do you have a favorite song from the zombies? Colin Blunstone: My favourite Zombies song will probably always be "She's Not There" because it changed our lives forever. I can still remember our producer Ken Jones mentioning casually that it might be an idea if someone thought about writing something for our first session in Decca Studios in 1964. For my part at the time I thought song writers were a different breed of person to me, a mere singer, but Rod just went quietly away and wrote "She's Not There". I was utterly amazed when I first heard it and I think we all immediately knew it had a great chance of being a hit. NB: What do you think of Death Metal? Colin Blunstone: For me there are only two types of music, good and bad. I love good music from all genres and try to avoid the rest. 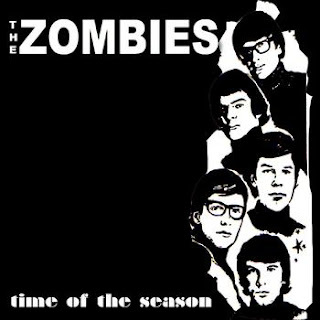 Colin Blunstone: Well it's certainly part of the lyric of Time Of The Season, which we first recorded in 1967, so unless anyone can find an earlier reference to this phrase I think Rod in particular and The Zombies in general can claim to be the originators of this phrase. NB: How do you connect with your fans? Colin Blunstone: We have always written, recorded and performed with all our body and all our soul in the hope that if a performance means something really special to us we can reach out and connect with a listening audience. Also, make sure to listen to the song “Hung Upside Down” from the album Into the Afterlife. 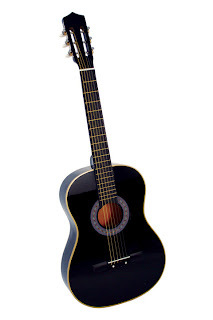 It has some rather simplistic yet goes back into the charming baroque qualities that were previously mentioned. Is the Spanish for The Zombies "Las Automatas?" this is amazing. and I am glad you wrote in something about Miley Cyrus. Only you, Al.